We understand that all parents really do want to be part of the child’s school life and help their child with their learning but are unable to do so either due to lack of time or because they don’t quite know how to. In order to assist busy parents to participate in their child’s learning process, Dr. Maths helps you in the following ways. 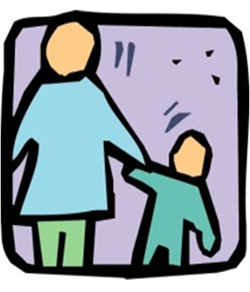 The Parent Tips section of each module provides useful ideas, activities and games for the parent to supplement the child’s learning simultaneously providing a great opportunity to bond with and have fun with the child. The internet is a complex sea of information, ideas and learning opportunities. It truly is a jungle out there. Our research team has made the job easy for you by painstakingly identifying the best video tutorials for the Math concepts taught in a class. To make your child’s computer time more productive, Dr.Maths provides you with links to fun and interactive math games. Its amazing to see how children think on their feet as they strive to meet the challenges thrown up by the games. Behind all the fun and excitement tremendous learning is taking place!